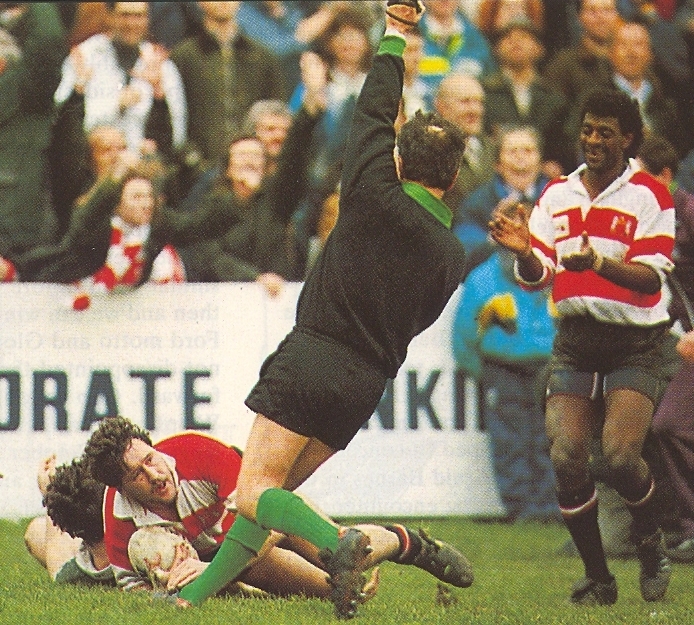 Derrick Morgan was a specialist winger with real pace who was a regular first choice for Gloucester on the right wing from 1982 to 1993, playing in the 1990 Cup Final against Bath. Derrick Morgan was born on August 2, 1962 in Swindon. He moved to Gloucester as a child and was educated at Hucclecote School. He joined Longlevens RFC where he played at outside half or centre before finding his niche on the right wing. Derrick joined Gloucester in 1982 and his pace and try-scoring potential were quickly recognized. By the end of the 1987-88 season, he had already scored 100 tries for the 1st XV and consistently featured on the list of leading try scorers. In 1988-89 Morgan suffered serious back problems, which kept him out of the side for most of the season but he came back strongly in 1989-90 to feature prominently in the club’s Courage Championship and John Player Cup campaigns when they finished runners-up in both competitions. I was very interested by the piece about Derek Morgan, a very underated winger in my opinion. In all he played 243 games for Gloucester and scored 158 tries! He also played in the early league games, appearing 36 times and scoring 15 tries.